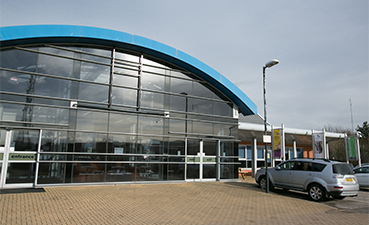 Animal Trust’s surgery in Tingley, Leeds is a modern, bright and airy surgery in which pets receive high quality veterinary care. Located just off the M62, the veterinary clinic is easily accessible with some pet owners regularly traveling large distances to access the services provided in the surgery. The Leeds practice also has a large free car park outside the surgery. The Leeds surgery offers a wide range of veterinary services from routine procedures including vaccinations, dentistry and neutering through to complex surgical procedures. The team at Animal Trust Leeds are committed to providing the best results for your pet, priding themselves on thorough investigations and treatment and understanding the pet’s best interests throughout. There is no consultation fee to visit the vets at the Leeds surgery, with only medications and treatment being chargeable. It is hoped that from this pet owners are encouraged to bring their pets to the veterinary surgery as soon as they have concerns. The Leeds clinic reception team will be happy to assist with the transfer of your Pet care from a previous veterinary surgery to Animal Trust, arranging for all existing medical records to be carried across. Appointments can be made directly with the surgery or online.